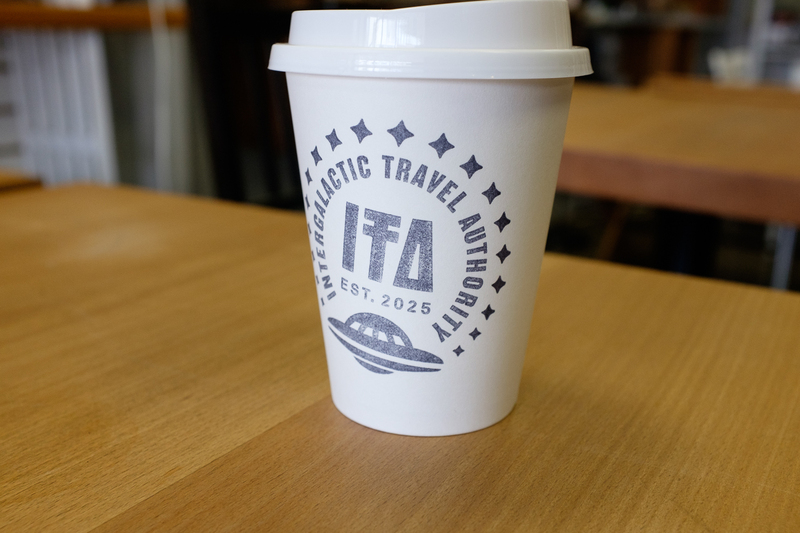 There’s an adorable café in my area called the Intergalactic Travel Authority. Until recently, I thought it was legitimately a travel agency. Then I walked by one light and the portal and the back was glowing. I had wanted to visit ever since but it’s usually closed by the time I come home from work. This summer, I have half days on Friday so I went into the café yesterday to do some writing. What I learnt was that this was no ordinary coffee shop. 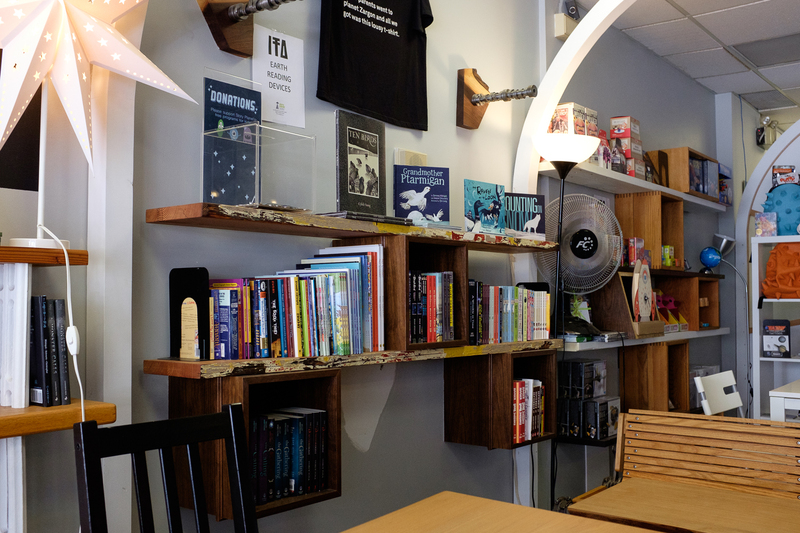 All the profits from the coffee sales go to a charity program called Story Planet. The program focuses on teaching children how to be creative and express themselves through literacy. They take place in the back of the café in a classroom behind the secret portal. 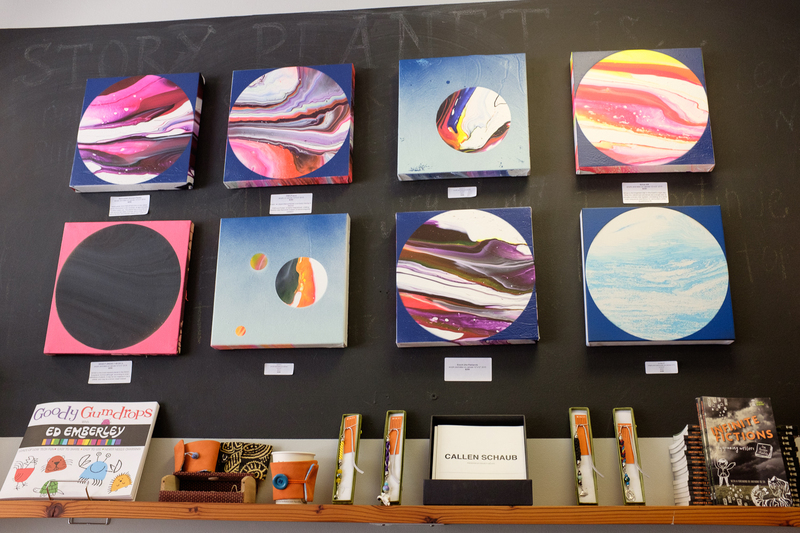 Some of the stories that were created during this program are for sale inside the shop. I love the idea of this program. All kids should be encouraged to write and what an awesome way to do so and make their imaginations come true! There are also random trinkets and art for sale. 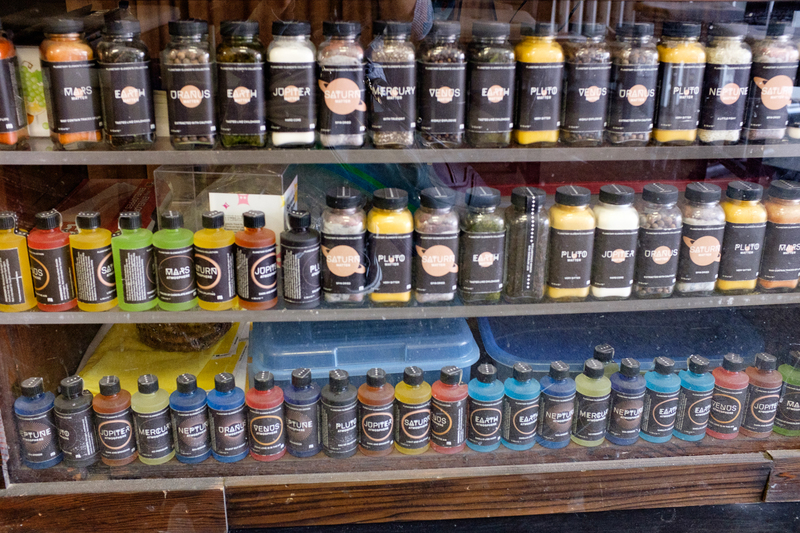 There are even interplanetary spices for kitchens in need. I ordered a mocha and they make a mighty fine one! I will definitely make galactic travels occasionally to splurge on a guilt-free mocha to support a wonderful cause. If you’re in the area, please consider buying a coffee here if you get the chance! Thought you’d like an additional perspective. I can’t speak to the cafe but can to the workshop programs offered outside of the cafe. 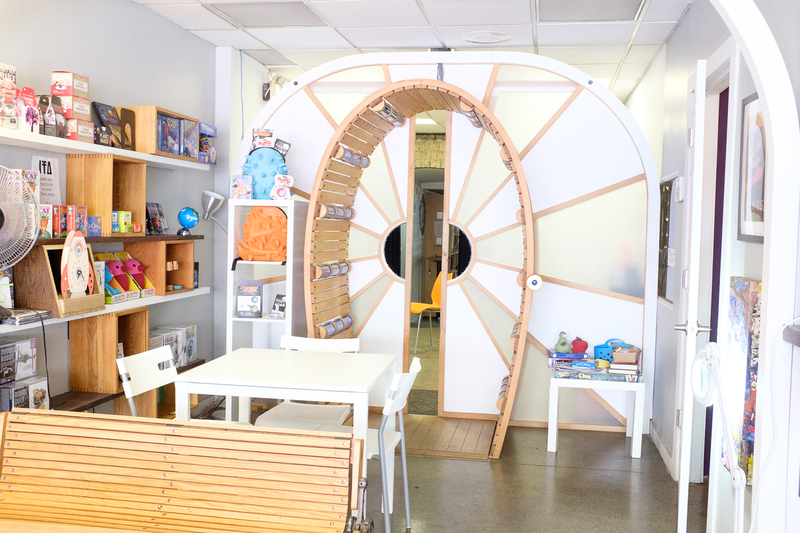 Story planet charges $500 for a 2 hour program to organizations; schools, camps etc. not exactly free. Quality of program leaves much to be desired as people running it, in our had little understanding of young children, what they are capable of and the scaffold that may be required to have collaborative story writing occur successfully. Children sat for over an hour basically listening. Stories were beyond their level of reading and did not flow or follow a true narrative structure. Adult talk way beyond their level of understanding. First idea shouted out was taken as representative of the group. Very little time given to children actually writing and illustrating. Very disappointing. I don’t know about the organization outside of the cafe!